1. 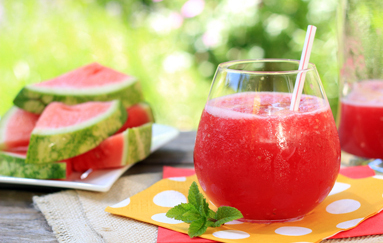 Add chopped watermelon, 1 cup water and lime juice to blender. Blend on high until smooth. Strain through a mesh colander, if desired. 2. Chill and serve over ice.